If you are considering a career as a Rehabilitation Counselor, the job outlook is propitious. In other words, if the statistics were a song it would be “The Future’s So Bright You’ll Have to Wear Shades!” The United States Bureau of Labor Statistics projects that the demand for qualified Rehabilitation Counselors will be 20%; while the demand for other professions is 11%. In 2012 there were 117,500 Rehabilitation Counselors employed; the estimated number for the year 2022 is 140,900. This means there will be approximately 23,400 jobs available by the year 2022. Part of the reason for the increase in demand for Rehabilitation Counselors is the accelerated percentage of Americans entering their senior years. With the Baby Boomers now entering their 50’s, there will be more elderly citizens comprising the population than has ever in history. Although society stresses the importance of maintaining health as age progresses; still a large percentage of injuries requiring the services of Rehabilitation Counselors is and will be found in senior population. Not all persons needing the services of a Rehabilitation Counselor are in their geriatric phase. Potential clients are those who for some reason; mental, emotional or physical, are unable to function independently in their communities. With the help of a Rehabilitation Counselor, however, these persons are able to live happy, healthy and productive lives. Learn more about how to become a rehabilitation counselor. Where is a Rehabilitation Counselor Most Likely to Find Employment? There are many avenues open for Rehabilitation Counselors because the spectrum of assistance they provide is extremely wide. In order to know where the counselor will most likely find employment, it is necessary to determine exactly which type of client the counselor seeks to work with and in what capacity. Lee Pearson is the program director for one college’s Master of Arts in Rehabilitation Program. He describes the many different types of Rehabilitation Counseling might be explored. The client of a Rehabilitation Counselor is an individual who suffers from difficulties resulting from birth defects, illness, disease, accidents or the stress of daily life. Each category is different and some patients may suffer from a combination. Once the nature of the disability is identified, the Rehabilitation Counselor helps the client to maximize their independence and chances of employment. A Rehabilitation Counselor (RC) has the unique opportunity to assist individuals in a holistic manner because they become involved in the patient’s life on every level; personal, social and vocationally. The counselor takes into consideration the client in his/her entirety: physical abilities and limitations; mental strengths and weaknesses; financial resources or lack thereof; any support systems (family/friends/religious); ability to qualify for federal, state and local outreach programs; capabilities with regards to functioning independently in the community and the client’s potential to eventually acquire the needed skills and coping mechanisms necessary for living life within society. The number one function of a Rehabilitation Counselor (as the title suggests) is to counsel their clients. The topics of therapy however, have a broad spectrum of possibilities. Each client is a unique blend of characteristics and qualities; the RC must take each strength and weakness and evaluate these in the long and short terms. The Rehabilitation Counselor evaluates the nature of the client’s disability. If it is a mental disability the counselor assesses the psychological aspects of the case; possibly involving other professionals such as psychiatrists, medical doctors or substance abuse specialists. The evaluation must include perceived abilities and limitations; over-all health issues or concerns; the disposition of the client and factors possibly contributing to the mental disability; environment, relationships, diet, as well as current available opportunities for growth. If the disability is physical, the counselor evaluates the parameters within which the client can operate in the course of any given day. They determine if the client is functioning at full capacity, or is in need of other professionals to assist them; i.e. physical therapists. Physical Rehabilitation services may request an assessment of a patient. Hospitals (both public and private) may need an on-call or permanent Rehabilitation Counselor to assist with incoming medical patients with obvious disabilities. If the Rehabilitation Counselor is in private practice they will need to do evaluations. 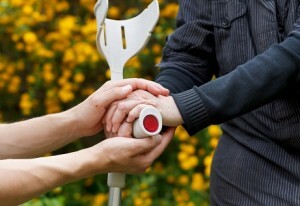 Charity Organizations that assist disabled person. County Government offices, Welfare, and health related programs. State and Local Courthouses: Court Ordered reports and plans. Expert Witness for litigation purposes. The role of developing, designing and creating a plan of treatment for a client may involve coordinating with other professionals, doctors, therapists, psychologists, and social workers. It may also mean working with family members, friends and other human resources available to the client. The Rehabilitation Counselor may have to schedule doctor’s appointments, other medical appointments, career/vocational training as well as arrange for transportation. These duties would typically be incorporated into an institutional setting. A Rehabilitation Counselor can educate the public either through public forums or as an instructor at a campus of higher learning. Working towards greater awareness of the plight of those with disabilities and the encouragement of participation by the community are positions typically found within non-profit organizations. Education: The more academically prepared you are by obtaining degrees, the more likely you are to be hired. A Bachelor’s Degree and a Master’s Degree are two things you ideally take with you into the interview room. Research the internet for experiences others have had in the interview process. Be prepared to answer a lot of questions about yourself and why you have chosen the field. Mentally go over your answers. Role-play if necessary. Prepare yourself for critical thinking questions: These are usually scenarios of clients with different disabilities; be ready to assess how you would handle their situations. Since many laws have affected the job of Rehabilitation Counseling, you might want to familiarize yourself with an historical perspective of the evolution of your chosen profession. A quick, easy-read, resource outlining changes since the 1968 Rehabilitation Act to the 1990 American with Disabilities act is The History of Legislation since 1960. The Basics: Dress professionally (the job interview starts when you pull into the parking lot. ); carry yourself with an air of self-assurance; smile and project a positive attitude. The essence of the job for which you are interviewing is the empowerment of people who are seeking a better way of life through counseling. Know you deserve the job and let your confidence shine. Employers reward employees who not only know the job from an intellectual standpoint but also from an experiential one. If you develop a community image through involvement with outside charities supporting the very disabilities of which you are involved; your employer will see your dedication and motivation. These are powerful bargaining tools. An example of one charity that works with local industries to provide jobs for the disabled is Industrial Support Systems (ISS) or Fontana Rehabilitation Workshop. ISS coordinates local industries with clients (they refer to their clients as “consumers.”) who are able to do manual piece work. They then sell the completed components to the local businesses that have contracted for their products. Each year there are events which raise money for the charity and volunteers are always welcome. Their work is also highly recognized by The Chamber of Commerce. ; in February 2014 they received a key to the city for 50 years of service. Association with any group which supplements your company’s efforts in the community will definitely increase your chances of increasing your salary. Can a Counseling Degree Make Me Rich?